There has been a pub called The Red Lion on this site ever since 1788. The one you see today was constructed in 1821 and, thanks to surviving the Blitz completely intact, has become one of London's rare examples of original ornate Victoriana at its finest. 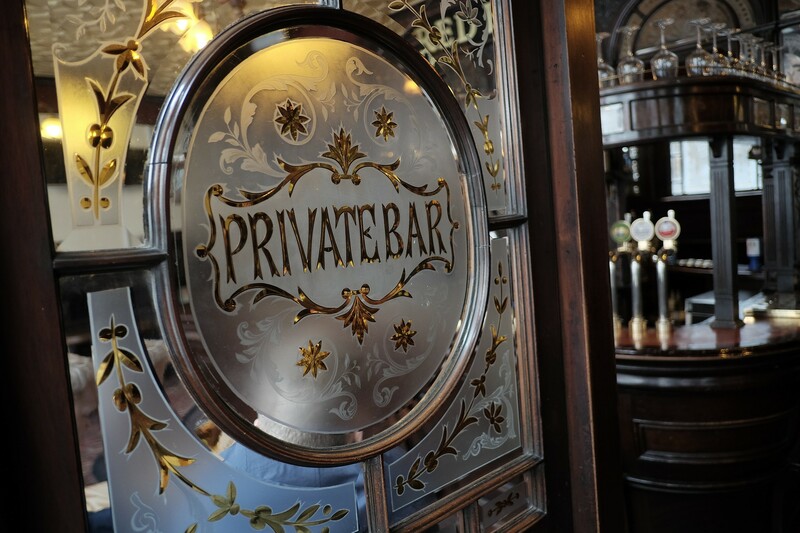 Uniquely, the pub is full of specially commissioned glasswork, with much of it thought to have been created by the renowned Walter Gibb and Sons of Blackfriars, using some of the most advanced engraving and etching techniques available at the time. While nobody is sure why there are so many mirrors, one theory is that they were deliberately commissioned by a local magistrate at the time in order to reduce the privacy of the pub's snugs, and therefore smiting the activity of local women of the night. Whatever the reason, it has led to The Red Lion being described as 'a perfect example of the small Victorian gin palace at its best' by Architectural Review, and it really is a window into life in the late 19th century.